In recent weeks, Survitec Group, a provider of safety equipment to the commercial marine market, has appointed Ross Wilkinson as Managing Director of the Group’s U.K. Services and Distribution business. 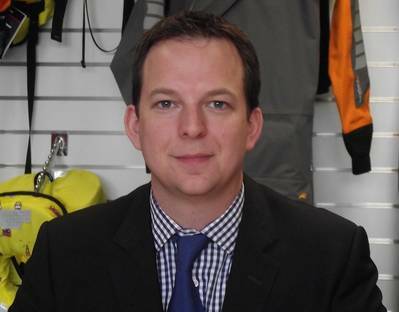 Wilkinson was formerly Managing Director of Survitec Group's Crewsaver business . He has leadership experience in the global marine and leisure industry, having worked in the sector for over 18 years. Before joining Survitec, Wilkinson was General Manager and Maritime Business Unit Manager at Orolia Limited. Prior to that, he was the Global Sales Director of the McMurdo business acquired by Orolia in 2009. Wilkinson also spent seven years with Navimo, firstly as Director of Sales and then as General Manager of Navimo U.K.